Mealybugs can quickly infest your garden or household plants. You will notice white powdery clumps or larger affected areas. Insecticidal soap is a good choice for a large area. Individual bugs can be killed by using a swab dipped in alcohol. 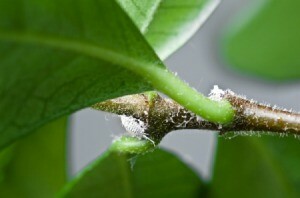 This guide contains remedies for mealybugs on plants. The white powdery look you sometimes see on plants is mealy bugs that can infest plants after a lot of rain. Take a bowl and mix original Dawn soap and place it into a plastic hand held sprayer. The mix is 2 to 1 heavy on the soap; spray and let dry. 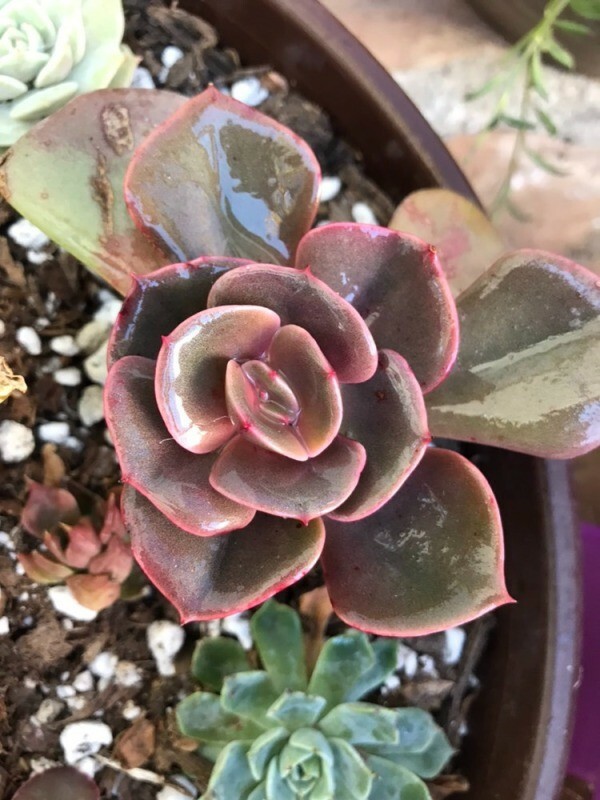 If you have a really infested plant, rub the leaves with a soft cloth with this solution or dip into a bucket of solution and remove as much residue as possible. This is a natural solution smothering the scale or powder. I just went to the garden store because I have mealybugs on my raspberry plants. I bought insecticidal soap. The owner said regular soap, such as Dawn, will kill the plant as well as the bugs. You can also buy and protect mealybug's best ennemy : Cryptolaemus Montrouzieri, safe for the bees and safe for the plants. This black and orange tiny insect feeds on mealybugs. 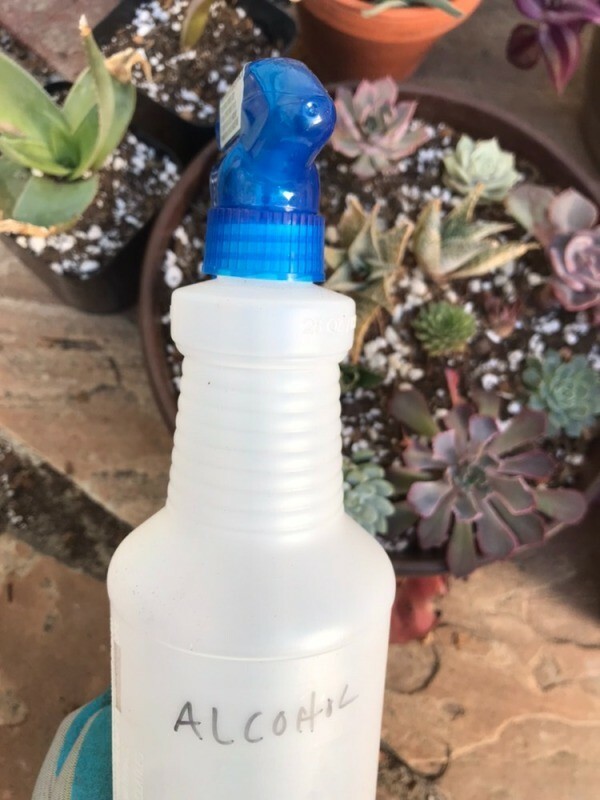 Keeping a spray bottle with rubbing alcohol is convenient and can be used to get rid of mealy bugs on succulent plants! 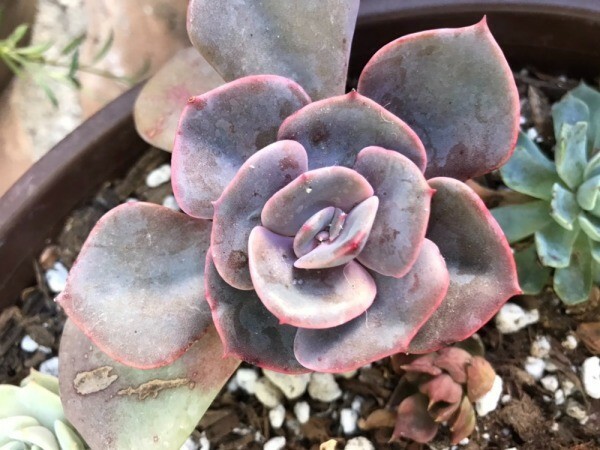 Rubbing alcohol is inexpensive and succulent safe while also getting the job done by getting rid of mealy bugs! Question: How Do I Get Rid of Mealy Bugs on House Plants? How do you get rid of mealy bugs on indoor house plants? They got on one plant and now have spread to two other plants. My Jerry Baker book said to spray your plants with Alcohol (rubbing alcohol). I've been doing it, and it doesn't seem to hurt the plants and the bugs certainly became much less prominent. Then I kind of quit and forgot about it for a few weeks and they came back. Another tip was to spray the plants with water with a little dish soap in it. Or, spray with water and a little murphy's oil soap. I have noticed that no bugs bother my onions or garlic, or sage. I'm going to try dusting the plants with sage powder, and put some on the soil. Archive: Killing Mealybugs, Scales, Aphids, Spider Mites, etc. Alcohol kills mealybugs, scales, aphids, spider mites, white flies, slugs, and earwigs by acting as a surfactant, or wetting agent, that can penetrate an insect's waxy coat of armor and kill on contact with the body. Isopropanol (rubbing alcohol) works fine and is easy to find, but be sure it doesn't have additives. Ethanol (grain alcohol) seems to work best. Alcohol usually comes in 70 percent strength in stores (or 95 percent strength purchased commercially). To make an insecticidal spray, mix equal parts 70 percent alcohol and water (or if using 95 percent alcohol, mix 1 part alcohol to 1-1/2 parts water). To kill mealybugs, dip a cotton swab or cotton ball into alcohol and wipe off the infestation.